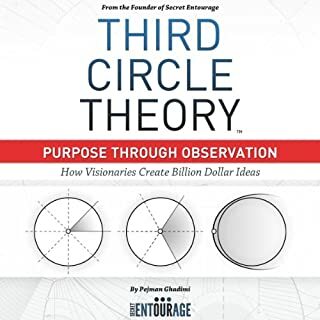 The Third Circle Theory is the theory that the founder of Secret Entourage created to explain how visionaries are made and billion dollar ideas born from nothing more than your observations. The theory which has proven to be the same for all the successful individuals who have not only found their purpose in life but have executed on their beliefs, and as a result established themselves as successful innovators, explorers, educators, and entrepreneurs is now clearly defined and will teach you how to live successfully. When I listened to the audio version of Third Circle Theory I could literally feel my mind expanding. This book strung together many thoughts and feelings I hand and put everything into a clear cut way of thinking. There were man AHA moments, that made me think deeply on the direction and value I need to apply to my life. It does not provide you a Step-By-Step plan to execute, however, it does highlight the mindset one should have if they hope to bring great impact to the world. Definitely enjoyed Third Circle Theory. What did you love best about Smartcuts? Smartcuts was awesome because of how it brought the different principles together in an applicable format. Theory was backed up by how they were executed and studies that aligned. 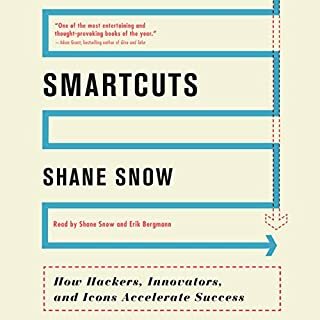 What other book might you compare Smartcuts to and why? If you combined the principles from Smartcuts, Lean Startup and Virtual Freedom you'd be one powerhouse player.